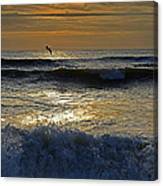 Great image. 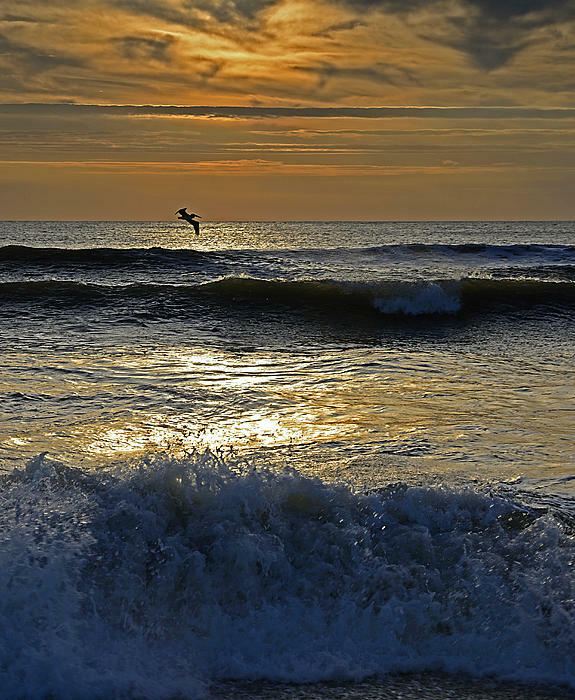 Makes you feel you are there. 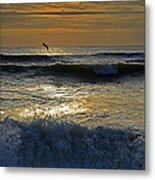 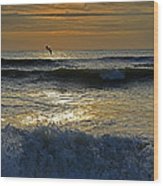 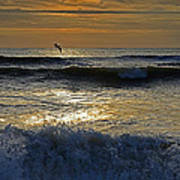 A Pelican surfs the waves in this Ocraoke Island sunrise on North Carolina's Outer Banks.